Japanese Style: Light, skin-layer shallow needle insertion, specializing in methods of “five-element diagnosis” and abdominal and channel palpation. Chinese Style: Both light and deep muscle-layer insertion, using TCM (pulse tongue and pattern) diagnosis, and body, skull, and micro-system acupuncture (of the ear, skull, face, hands and feet). Electro-Acupuncture: In this modality mild electrical pulses are sent through the needles, with the electronic stimulating machine providing different rhythms and degrees of intensity to respond to different conditions. Moxibustion: One of the heat therapies. The moxa herb is burned to provide heat, along with its own herbal powers, to improve circulation, expel stagnant qi, invigorate blood, overcome blood stasis and relieve pain. Other heat therapies include the use of an infra-red heating lamp to treat sites identified by the therapist. Chinese Herbs: Chinese food is famous for its taste. 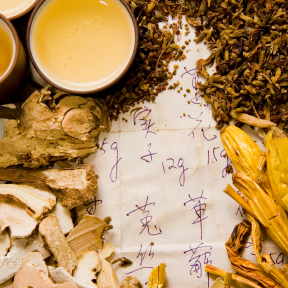 Many Chinese herbs are derived from food, such as beans, fruits, vegetables and other plants. There are also root, stem, bark, leaf, flowers, nuts, as well as minerals, bones, shells, and some animal products, insect skins, and so on. Among the herbs, we make combinations, grouping them according to their special properties, into formulas designed to treat specific ailments. They can be used in the forms of raw herbs, powders, granules, tinctures, patented pills, tablets or capsules. Gua Sha: Use of a square board to scrape affected (i.e., toxic) body areas that foster pain and tightness. The benefits of Gua Sha include dissolving stagnation and facilitating qi and blood flow, thus also relieving pain. 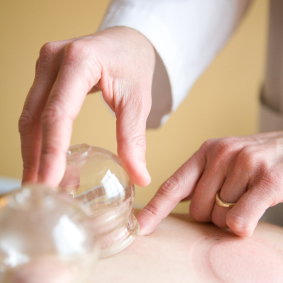 Cupping: Use of glass or bamboo or plastic cups to create vacuums that bring body toxins to the surface. Similar to Gua Sha, this procedure serves to facilitate circulation, eliminate pain and stiffness and improve overall health. Tui Na: Used in China for 2,000 years, Tui Na is a form of bodywork therapy based on the meridian patterns. 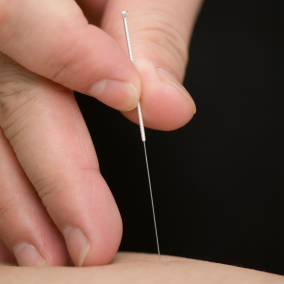 Through application of different hand manipulation techniques, Tui Na relaxes tissues to allow maximum flow of qi and blood and unblock stagnations and stasis, to effect relief of pain and an increase in body vitality. Eastern Nutrition: In addition to genetic factors, nutrition and diet play a large role in peoples’ constitutions. It is important to understand the nature, properties and principles of different foods and to institute a balanced, nutritious diet. Qi Gong/Meditation: To create inner peace and relaxation, and nourish the spirit.